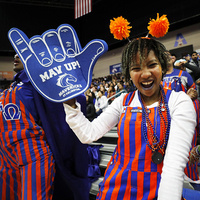 Join your roommate and neighbors for a fun Apartment and Residence Hall night at the UTA Men's basketball game against Arkansas State. The first 100 on-campus residents will receive a giveaway and the first 250 will receive a free concession stand voucher. Other prizes and games will be available.